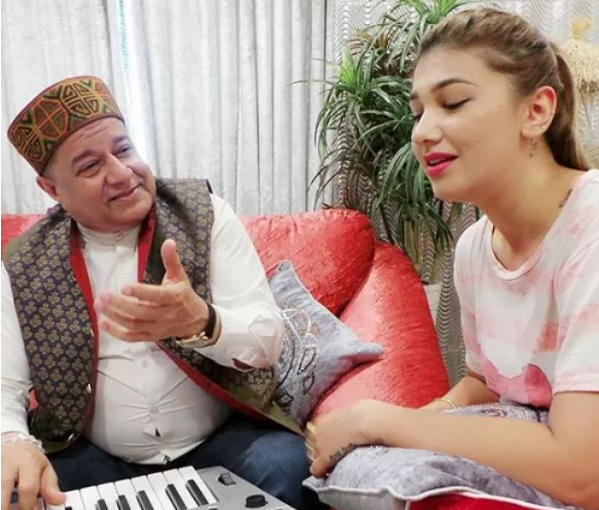 The audience of the popular reality show Bigg Boss 12 went into shock when the announcement of the participants of the show was made by the host Salman Khan and the reason was a unique affair of 'Bhajan Samrat' Anup Jalota with his 28-year-old Jasleen Matharu. Soon their talks were everywhere from inside to outside the house as they became the topic of trolling on the social media platforms. Jasleen gained everyone's attention when she was seen taking care of her alleged boyfriend's needs, medicines, food and everything else. Not just this she is continously seen giving him guidance and making important discussions with him regarding the contestants or the other chores of the house which makes them stand out the rest of the couples of the show who were interested more in the PDA. But a shocking report has come to light during an interview of Jalota's confidant, Aneesha Singh in which she claimed that Jasleen was pregnant with Anup's child last year. She revealed that a huge fight too happened between the two because of the reason, later which she had to go through an abortion. Talking about the incident, Aneesha told IndiaScoops.com, "They were yelling at each other. I have never seen them so mad at each other before. Jasleen claimed the pregnancy was due to Jalota's carelessness, which was hotly refuted by the Bhajan King. I do not know what happened thereafter. He (Jalota) told me to leave as he was in a very bad mood and would meet me after 2-3 days. I later on learnt that she had an abortion." She further said, "Days later, Jalota told me he felt that Jasleen was cheating on him and that she had a secret boyfriend in the UK, a charge which Jasleen always denied. I was his punching bag. He used to share all his insecurities regarding his relationship with Jasleen and kept asking me what to do." Jasleen and Jalota had beend ating each other from the past three years but their near and dear ones were unknown to this reality. It was only due to the show that they opened up about the same after which Jasleen's father said that they were shock to know about it and there's no doubt that they will never accept them as a couple. Her father said, "I will never give my approval to this relationship. I will not give my blessings to them, and I would rather keep my distance from this. But I will definitely ask my daughter why she did it. If she admits to her relationship with him, I will maintain my distance from them." Now that after their relationship, another shocking piece has come to light, how their parents will react is still a question. For more updates related to the reality show Bigg Boss 12, stay tuned with us!